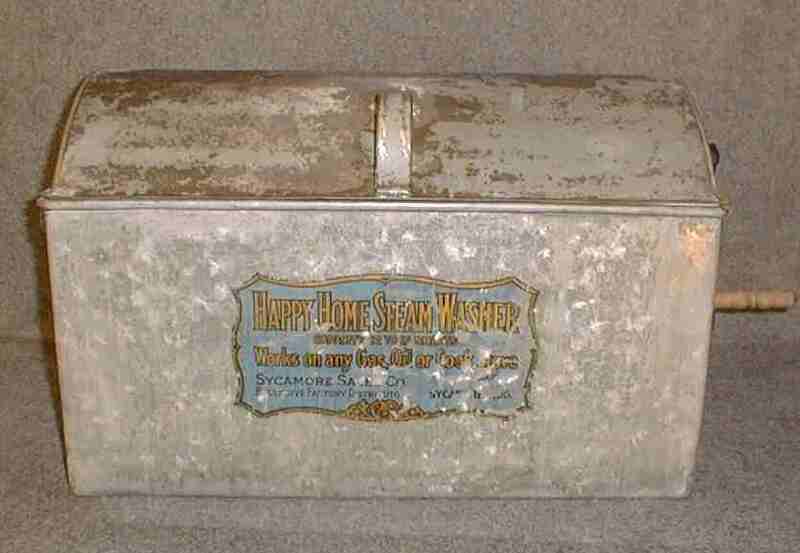 Happy Home Steam Washer Co. Rotating drum, galvanized tub, hand operated, stove top washer. Decal indicates capacity to be 12 to 17 sheets.